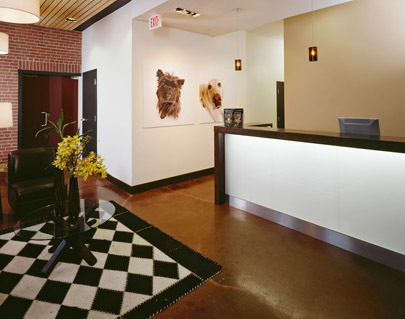 Rex Dog Hotel + Spa offers overnight boarding for your dog for anywhere from one night to several weeks or months! Our hotel has a custom designed open concept layout and is appropriate for dogs that would typically do well in a daycare environment. Rex Dog Hotel + Spa is fully staffed 24 hours per day 365 days a year. And just like The Doghouse, the team at Rex are experienced and caring dog lovers! For additional peace of mind, small dogs are welcome to stay in our completely separate “small dogs only” section of the hotel.